A. They were scientists: They were scholarly hierarchs, who studied a wide array of subjects and had high academic training. Basil and Gregory had studied at the University of Athens of their time (4th century). Gregory says of Basil, that he knew all the sciences like others specialize in one. They were both scientists and saints. In this personal way, they solved the issue of the relationship between science and faith. 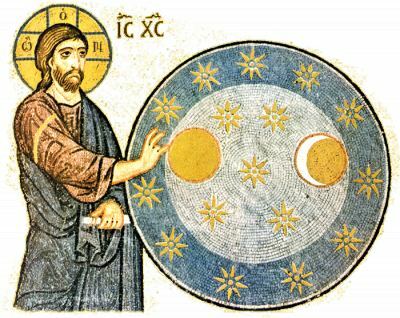 The Three Hierarchs proclaimed with their life that faith and science are not two things that are incompatible. B. They served the truth: The Church, as founded by Christ and the Apostles, is a place of light, truth and life. The scientist, on the other hand, seeks light and truth in their own way. The Three Hierarchs served the truth of Christianity, without distortion. The scientists of the West disagreed with and objected vehemently to the scholastic theology of the Western Church. When one reads, however, the teachings of the Three Hierarchs, there is no disagreement, doubt or objection. 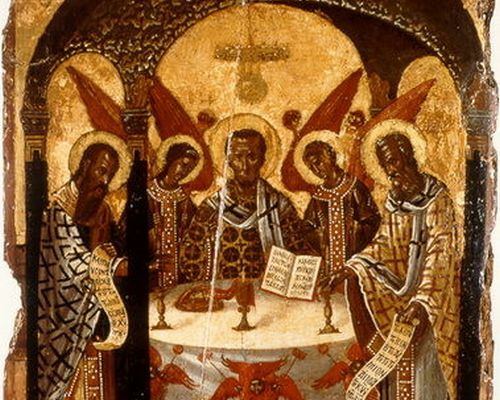 Because the Greek Fathers served the light and truth, and no one disagrees with truth. Conclusion: Atheism is not a spiritual phenomenon of the East. Atheism was introduced into Greece as a spiritual spinoff of the West in the late 19th and early 20th century and, unfortunately, in those years, the Greeks were fed both materialistic and spiritual food imported from abroad. Today we live in another era. In Greece there is a large shift to the Orthodox theological tradition, to the Greek Fathers of the Church. We became fed up with the "husks" of the West. It is time to return to the home of our Fathers. To enjoy our treasures. That we may feed ourselves and feed those who are hungry with the words of our Lord.